As one of our highlights for the year, this meeting featured a fascinating presentation by Roger Hnatiuk from Canberra, under the Visiting Tutor Program. 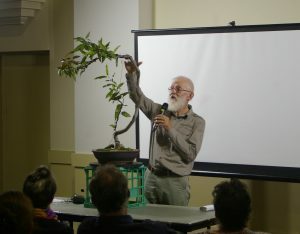 With his considerable experience, and his continuing contemplation of the development of bonsai in Australia with native species, Roger’s presentation “Incorrectly styled Australian native bonsai”, or “How to be inspired by nature”, gave us all much food for thought. 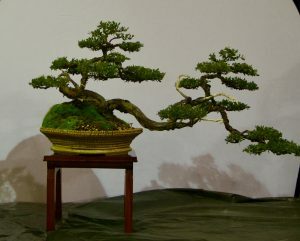 The ideas presented by Roger included concepts such as the Art of bonsai, as distinct from the Craft of bonsai, and the development of a person’s bonsai toolkit which includes the horticultural components as well as your artistic concepts, knowledge and experience of nature and your own spirit, voice and personal style. 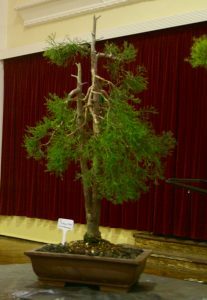 Developing bonsai with Australian native species, says Roger, should include the key elements of respect for country, an understanding of the land, and respect for its story. 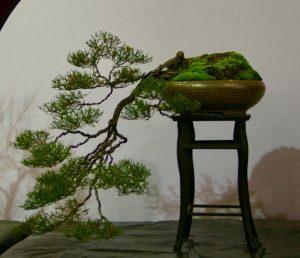 The pot, or container, is of course also an important component of this story-telling by a bonsai. 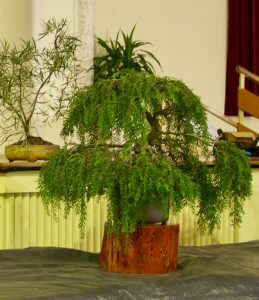 The presentation also included a number of images of Australian trees in the landscape, with thoughts about their key features of trunks, roots, branches, foliage and overall growth habits, and the potential for reflecting these features in bonsai. 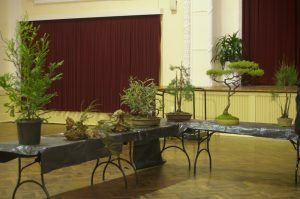 Roger also provided a very thoughtful critique session for several of the trees on display, highlighting the challenges, strengths and possibilities for each tree.